Rust Street Ministries is a charity non-profit that seeks to help those in need with food, clothing, home essentials, furnishings, and appliances. Additionally we connect people with support services that offer counseling and life skills to those seeking to make improvements in their lives. We could not do what we do without the generous support of our community. We have formed partnerships with local businesses, organizations, churches, outreach programs, and agencies. While our partnerships are crucial to our cause, our true strength relies on neighbors helping neighbors. When we all pitch in and or volunteer we lift up our entire community. Providing for those in need. Creating hope for the weary. Rust Street Ministries begins! Teens from Johnson Street Church of Christ went on a mission trip to Atlanta, Georgia to serve the homeless and forgotten, and they were the ones most blessed and served. The mission team was so convicted they immediately began praying about how to continue this good work in San Angelo. Warehouse space and basic offices were rented at 803 Rust Street. The ministry is named “The Christian Service Center.” Bryan Elliott was the first director. Owners of the warehouse facility donated the entire property to the ministry! Services were expanded to both food and clothing. “Turning Point” was established to minister to and provide spiritual counsel and life skills in partnership with the local parole board. Later it became a separate ministry from Rust Street. David Giddings served as Director/Counselor beginning in 2004. 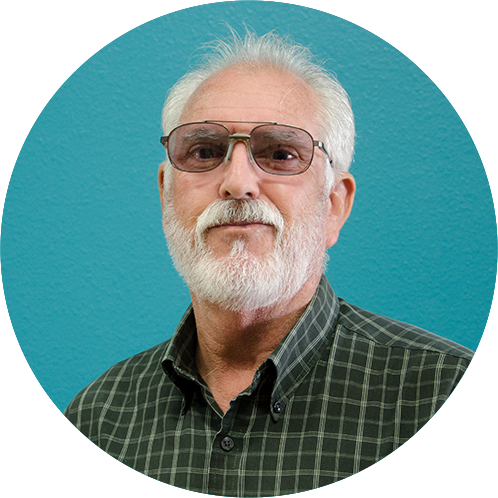 Bob Knox took over as Director of Rust Street Ministries. Many new services, such as providing furniture and household items were instituted. Partnerships expanded with other institutions, organizations and churches under Bob’s leadership. The warehouse on 801 Rust Street was purchased. An additional 30,574 square feet of ministry space was secured. New neighbor-interviewing cubicles, offices, clothing distribution area and furniture storage space opened up tremendous avenues to serve more people. Rust Street began a partnership with Young Life Ministries in their mission to introduce college and high school students to Jesus, disciple them in faith, and minster to teen moms and their babies. Bryan serves as Director of Rust Street Ministries. He began his work in June 2016. He grew up in Indianapolis Indiana, served in the United States Air Force and as a Minister for 22 years before working with Rust Street. Bryan has a son, Dylan who is a Junior at Central Oklahoma University. He enjoys playing guitar and basketball. He worships with the Johnson Street Church of Christ. Janet is the Volunteer Coordinator/Administrative Asistant for Rust Street. She has served the ministry since 2012. She is married to Mike Branham and they have two children, Loree, Gary and his wife Phoebe and two granddaughters, Payton and Paysley. Janet loves the outdoors and scroll-saw woodworking. She and Mike worship with the Johnson Street Church of Christ. Mark serves as Operations Manager for Rust Street. He has been with Rust Street since 2015. Mark is a San Angelo native. Mark has been married to his sweet wife Jeanne for 24 years. They are blessed with 4 children; Joshua and his wife Megan, Jacob and his wife Brianna, Lucas, Allison and 4 grandchildren, Hudson, Harlyn, Brycen and Conner. They worship with the Johnson Street Church of Christ. 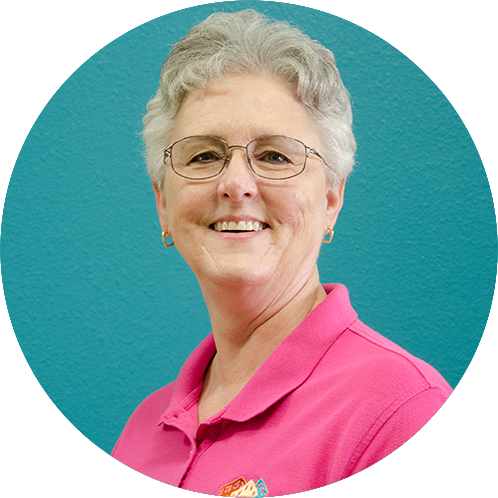 Kathy serves as Office Manager/Bookkeeper of Rust Street. She has served with this ministry since 2013. She is married to Hoot Hearn and has a daughter, Laura and her husband Wayford and one granddaughter, Tanna. 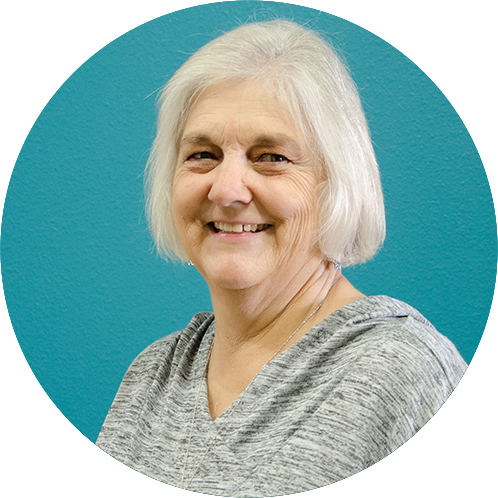 Kathy’s favorite aspect of her service with Rust Street is encouraging all her fellow servants, both staff and volunteers. Kathy and Hoot worship with Immanuel Baptist Church. Jerry is the Assistant Operations Manager for Rust Street. He has served with this ministry since 2013. Jerry is a life-long resident of San Angelo. Jerry has three sisters and two brothers, both who have gone to be with the Lord. 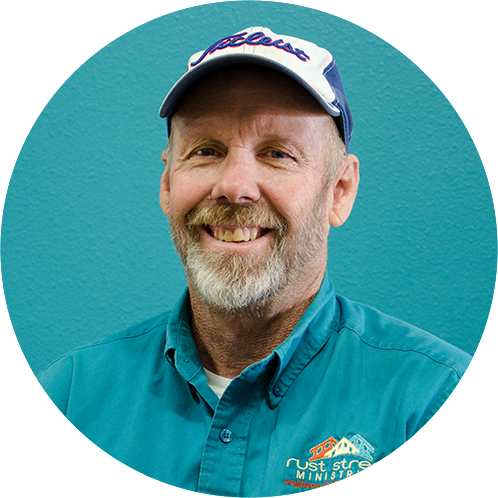 Jerry’s favorite aspect of his service with Rust Street is talking to people and making sure they have all they need. He worships at Paul Ann Baptist Church.